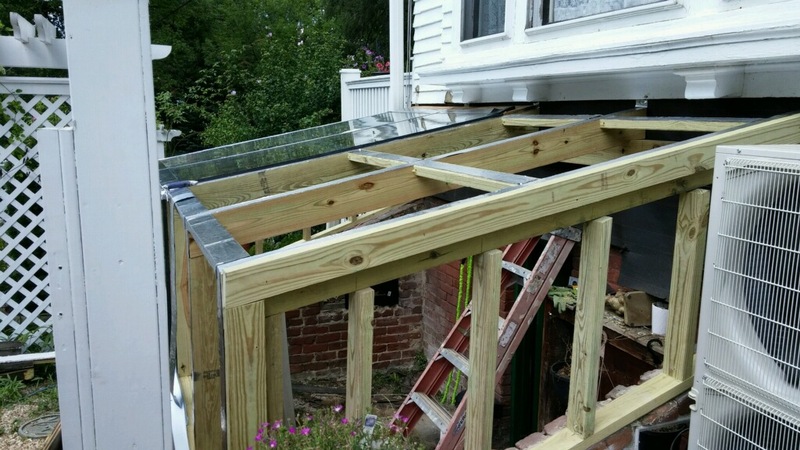 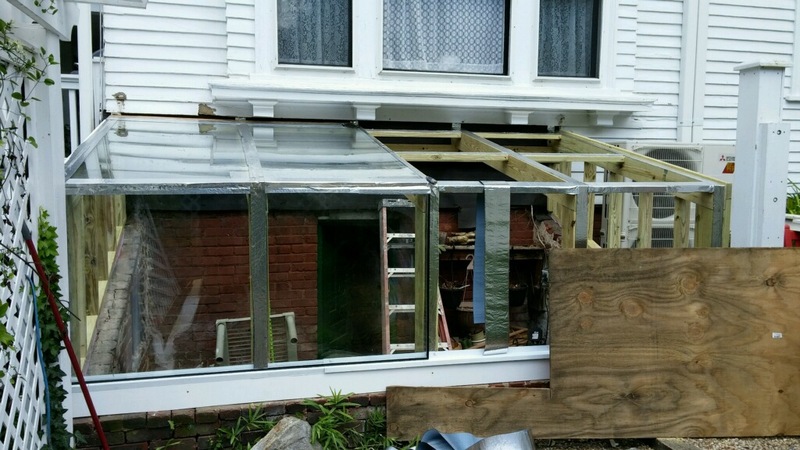 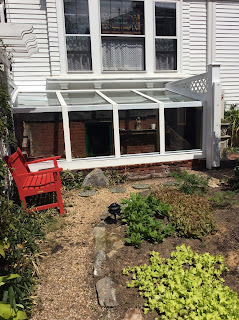 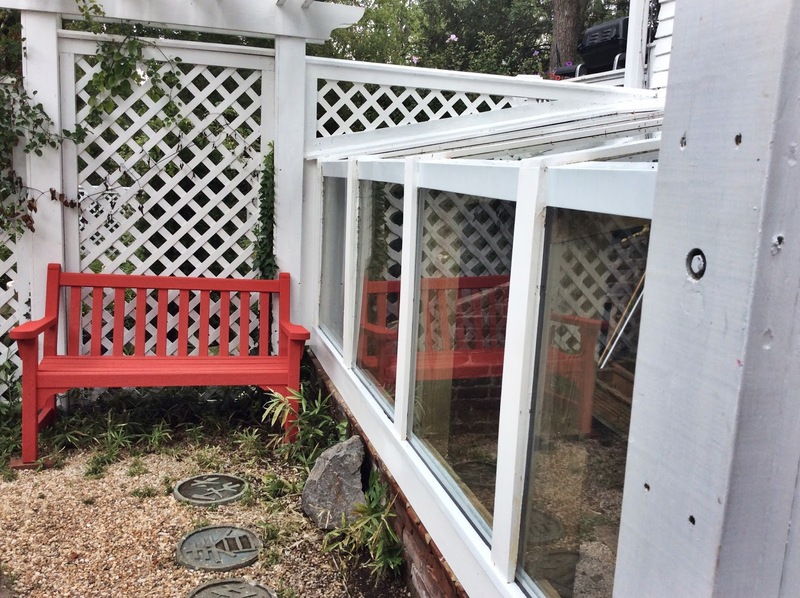 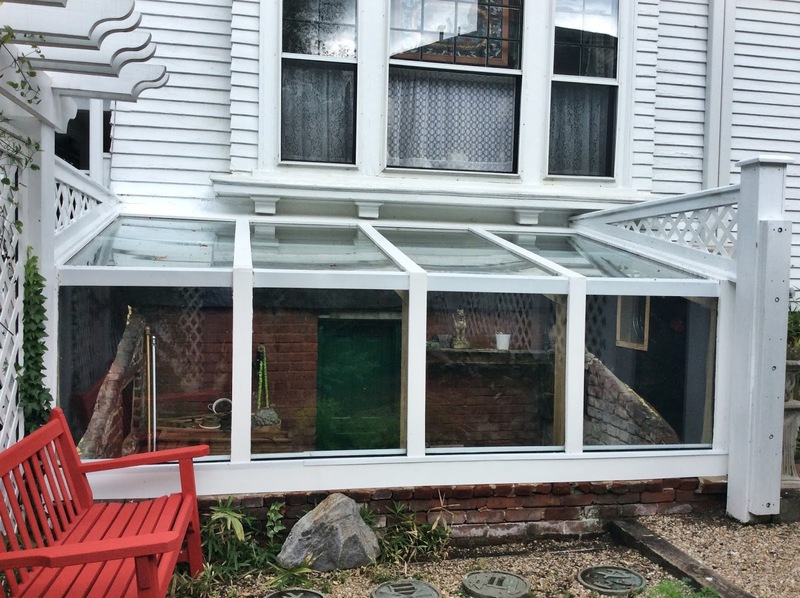 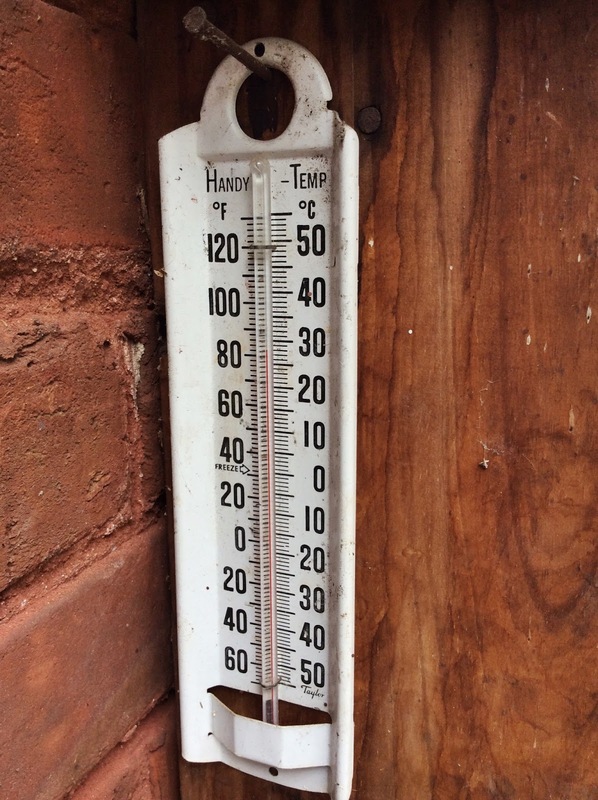 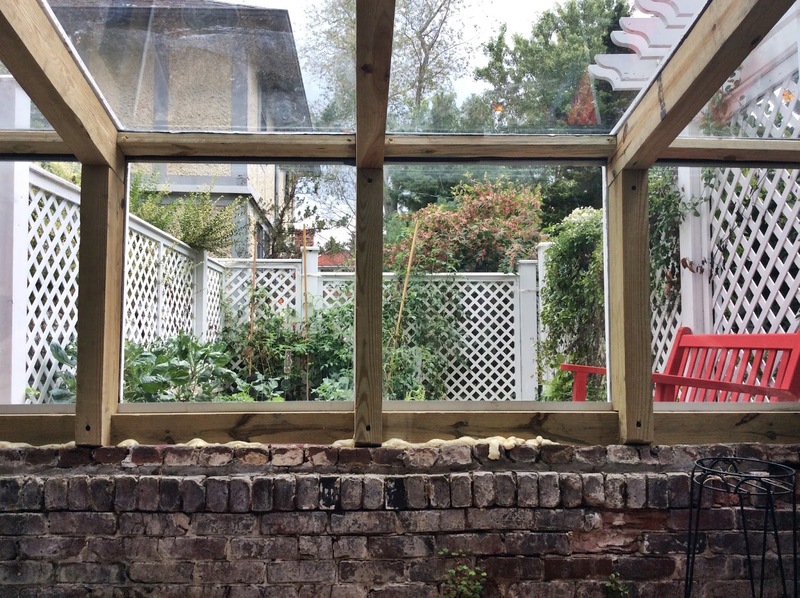 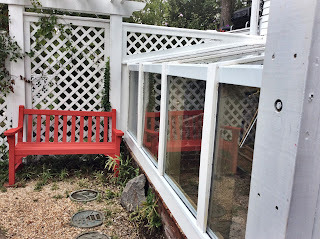 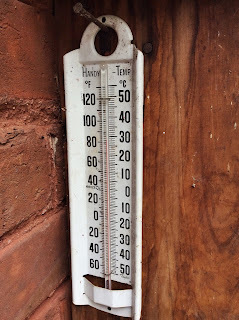 Abbington Green Bed & Breakfast Inn, Asheville NC: Nick's Notes 10.2.2015--I Love My New Greenhouse! 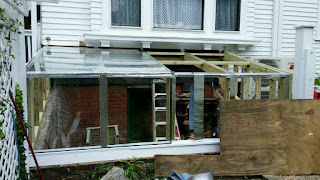 I Love My New Greenhouse! 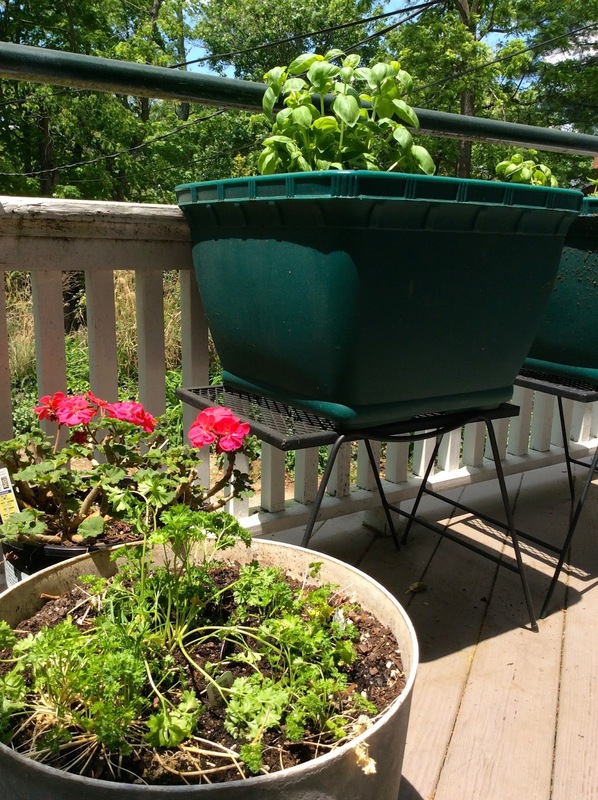 I was spoiled all summer long with my herb garden on the Kitchen Porch. 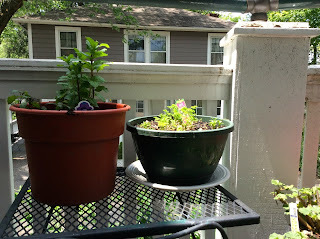 I love using fresh herbs in our breakfasts, as you've most likely seen in the many pictures we post of them on our Facebook page. 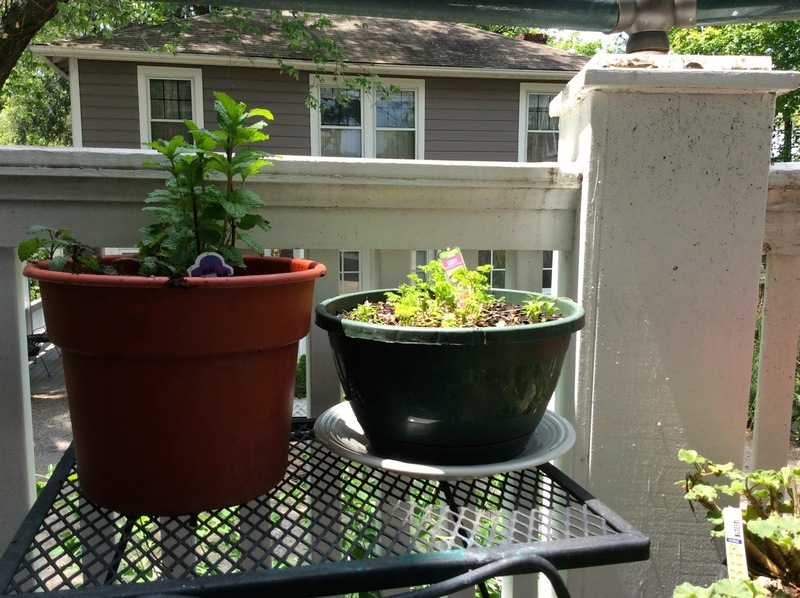 My favorite post from this summer was the one about the "4 Herbs." 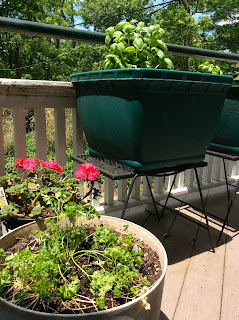 With Fall fast approaching I wanted to make sure I would be able to continue to grow fresh herbs all winter long. 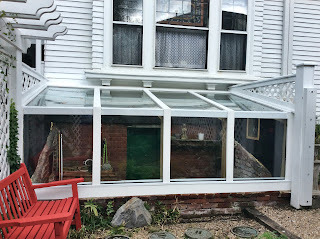 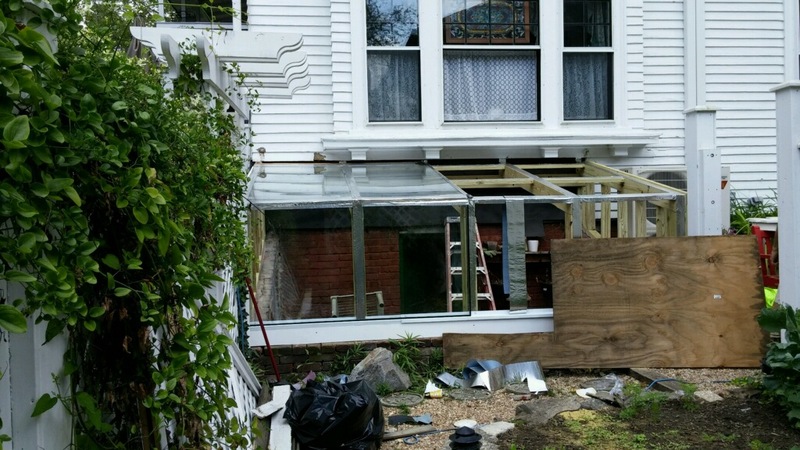 I always thought that at one time this was the cellar door to the basement, like the one in the Wizard of Oz, and someone just built a greenhouse glass cover over it. 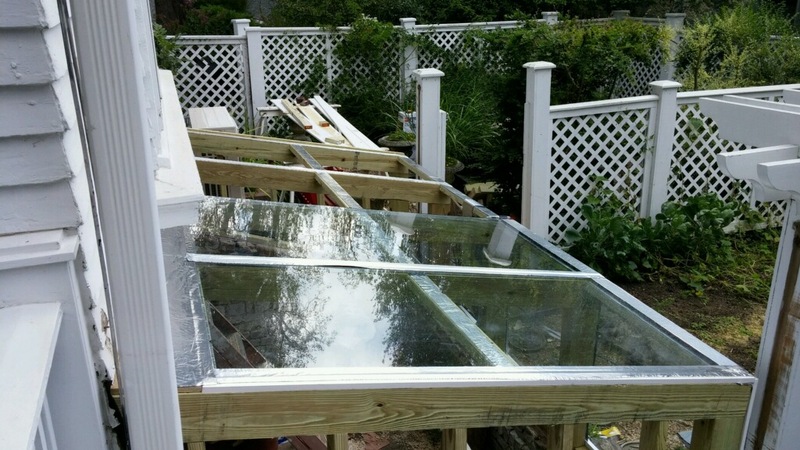 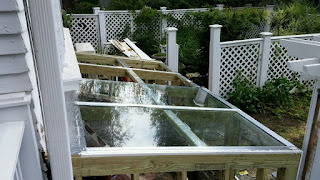 The new greenhouse is much larger, and it vents in fresh air from outside with a temperature controlled fan that can also blow out the air if it gets too warm inside. 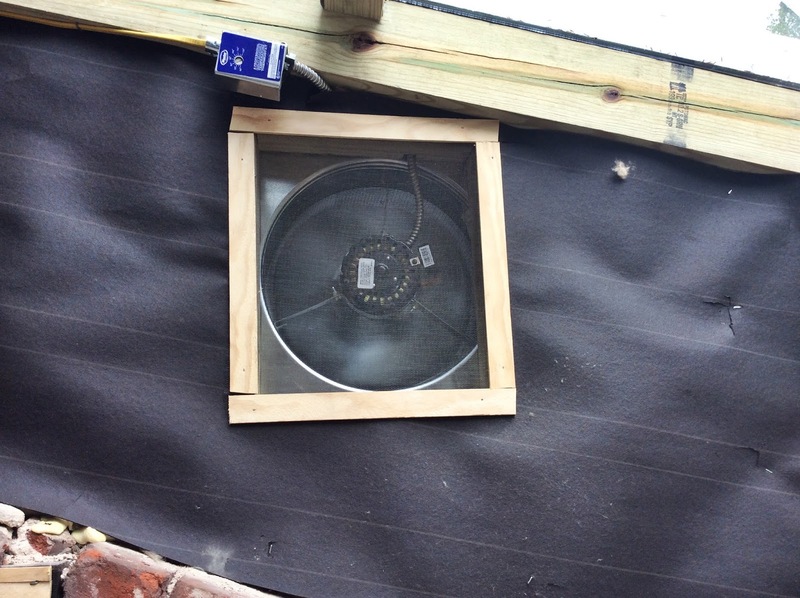 In addition, we've installed a heater to keep it warm inside on cold nights, to protect the tender plants. 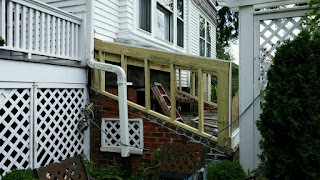 And, I can stand up in it! 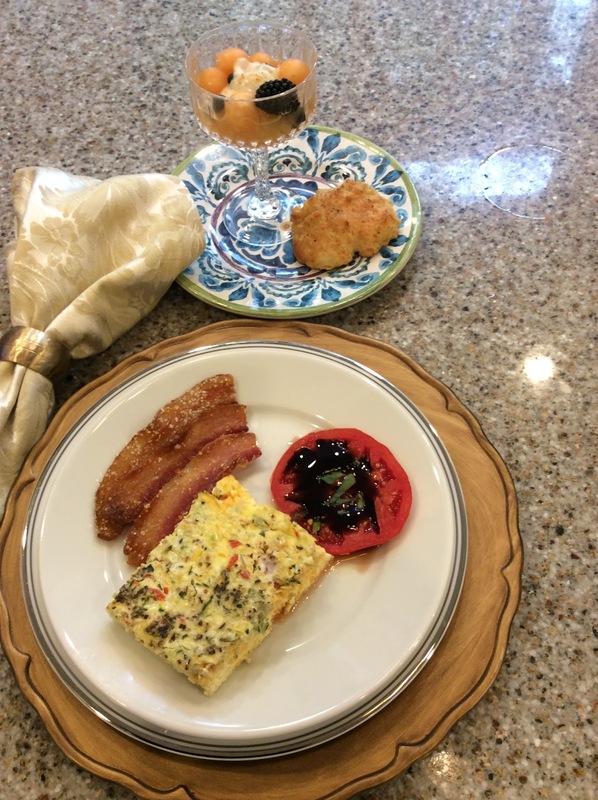 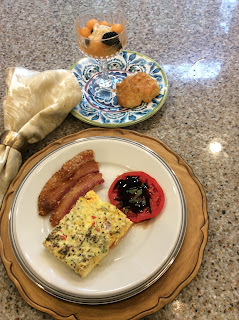 It's important to me that we provide our guests with as much local and organic North Carolina food as possible during breakfast, and having our own herb garden is a huge part of achieving that goal, giving us the ability to season our breakfasts just right...during any season, right from our greenhouse garden!